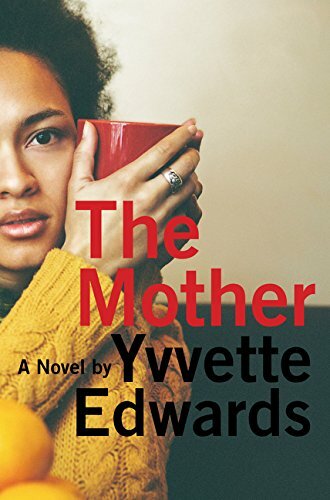 Tragedy became a close, personal friend of Marcia Williams, protagonist of Yvvette Edwards’ The Mother, the evening her 16-year-old son was brutally murdered. Seven months on, Marcia’s marriage is crumbling, her health is failing, and her relationships are strained, but she’s determined to attend the trial of her child’s murderer: another 16-year-old boy. Taking place over the course of a roughly two-week long trial, The Mother is a tour-de-force novel by an accomplished writer. Edwards treads some of the same sociological pathways as she did in her first novel, the critically acclaimed A Cupboard Full of Coats: poverty, parenthood, familial responsibility. In The Mother Edwards goes farther, exploring the effects income disparity have on a community that is often presented by media as a homogenous whole. Both families involved in this particular crime are black. Edwards paints a vivid picture of the gulf between the Williams family and that of Ryan Williams’ murderer. While her son had the advantages of a loving family committed to his well-being, a good school, and a future, his murderer, living blocks away, had no such advantage. Edwards has Marcia skate a thin line between compassion for Tyson Manley’s life situation and demanding accountability for his crime, and she does that well through dialogue and Marcia’s inner monologue. One short passage, perhaps two pages toward the middle of the book, edges toward the preachy—it tells rather than shows the range of societal views of race and poverty in the UK—but it happens early enough that the book has time to recover lost momentum before the satisfying conclusion. Marcia is a thoroughly believable protagonist. She is broken at the outset of the novel, shattered from her loss and uninterested in going on. Edwards’ writing is powerful and poignant as she paints a picture of Marcia’s desolation when she enters her son’s room: “I can still raise faint traces of the old smell through a couple of means, one of which is drawing the curtains, shifting them so they trap a pocket of air and billow . . . There is a sweet, sharp joy, piercing, exquisite. In equal measure, there is an excruciating sadness that is physical, like the pain behind the eyes when you stare into the sun.” Over the course of the novel, though, she finds strength enough in her memories to begin to heal her heart. Edwards approaches the equally absorbing topic of the effect the loss of a child has on a relationship. Marcia and her husband, Lloydie, are at opposite ends of an emotional spectrum: where Marcia feels everything and wants to talk about it, Lloydie would rather push his feelings aside. In brief flashbacks and memories the reader is introduced to the substance of their marriage; it is refreshing that Marcia is open-eyed about who her husband is and has always been. There is no expectation of “saving” him from his nature, only a desire to align their expectations of each other. Marcia’s emotional growth in the roughly two-week span of this book is remarkable, but not magical. The gulf between what one thinks one knows about another person and the reality of their depth is often shocking, and Edwards uses facts brought up in the trial to make Marcia’s growth believable. Using effective dialogue and inner monologue, Yvette Edwards has written a clear-eyed, unsentimental novel about modern city life and the challenges parents face (sometimes finding themselves the victims of tragedy). She approaches racial and income division with sensitivity but gives no one a free pass to do wrong. In the process, she finds “the beauty in humanity that sometimes accompanies the most hideous tragedy.” The Mother is another hit-the-ball-out-of-the-park novel by a writer to watch. Yvvette Edwards should be proud of her work.